Subiaco Floreat's Colts team advanced to the Grand Final after victories against Bayswater-Morley and Joondalup. Impressive bowling from Lucas Martin (4-13, including a hat trick) and Hamish McKenzie (4-24) restricted Bayswater to 116 and Cam Green, Nathan Bothma and Ben Tredget steered the boys to victory with a score of 6-118. In the prelim-final, a 78 run partnership from Bailey Gregson and Kiran Prashanth saw Subi make 9-148 before Joondalup were all out for 95, with Michael Hart (4-23) and Andy Nicholson (3-8) leading the way. 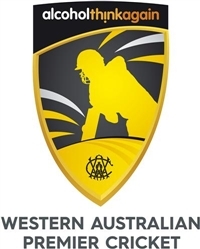 The Grand Final will be held at the WACA, starting at 9:30 am on 3 February. With Subi-Floreat's senior team also in the Grand Final, all lions supporters are encouraged to get along and support the boys.